Port Austin Kayak hopes to develop Michigan’s Thumb area into a premier quiet sports outdoor recreation destination. We also want to provide opportunities to adults and young people to experience the beauty of the Great Lakes in its natural setting so that they will better appreciate and want to protect the Great Lakes. Port Austin Kayak provides kayak, stand up paddleboard, and bike rentals to the upper thumb region. Port Austin is the perfect place for you and your family to learn to kayak because of its shallow water, magnificent rock formations, and majestic wildlife. 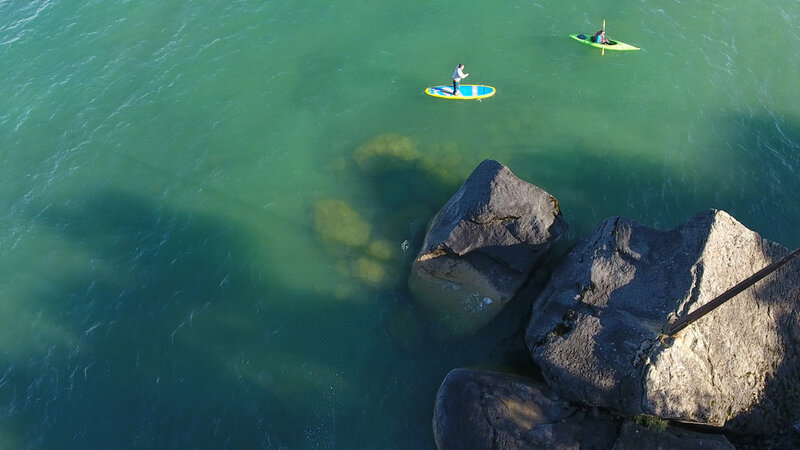 Port Austin Kayak provides the opportunity for anyone from novice to professional to kayak or paddleboard the stunning shores of Lake Huron by the hour, day, or week. If you are new to stand up paddleboard, we offer group clinics and private lessons throughout the season. Click here for more information. Interested in renting a kayak or paddleboard, but need it delivered? Perhaps you want to start your kayak journey elsewhere in the thumb and end your adventure at our storefront in beautiful downtown Port Austin? You're not alone, and for this we offer a convenient shuttle service. Please contact us to reserve a shuttle for your recreation needs. Port Austin Kayak has an onsite cafe & beer garden. Grab some breakfast or cup of joe before your adventure, grab a lunch to take with you, or relax with friends and family during dinner in the beer garden to wind down the day. Click here for more information. We also feature a extensive storefront for your outdoor adventure needs. We offer kites, new and used kayaks, paddleboards, and outdoor clothing from Columbia, Prana, Horney Toad, and Bilabong. Port Austin Kayak also features events throughout the season for the entire family. From bike tours to group classes and so much more, connect with our events section to discover the perfect outdoor activity for you and your family. Still have questions? Our friendly staff is here to answer them, give us a call at 989-550-6651.